I’m so blessed and grateful to be able to perform with such an incredible talent whenever I have the opportunity! 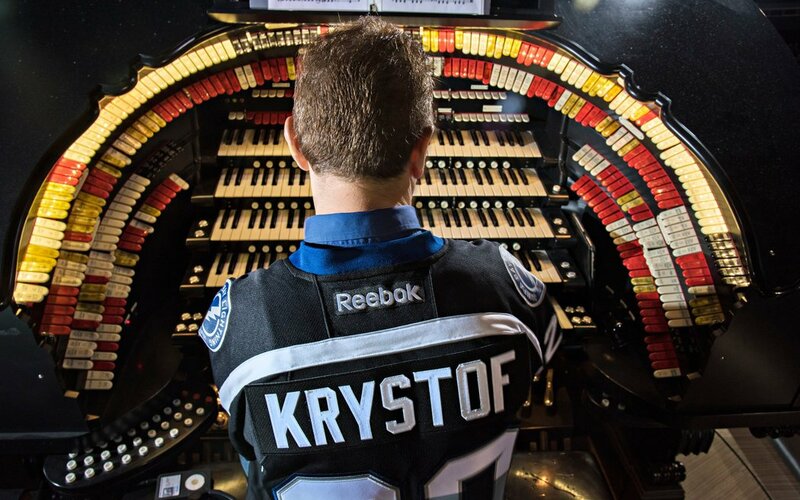 Here’s a few articles and videos below about Krystof that appeared in the Tampa Bay Times, New York Times, and a few others, talking about his performing at Amalie Arena on the giant pipe organ for all the Tampa Bay Lightning games, and his musical journey from Poland to Orlando. They’re great articles. Krystof Srebrakowski, Lightning Organist, sits next to Amalie Arena’s five module, 300-speaker goliath. 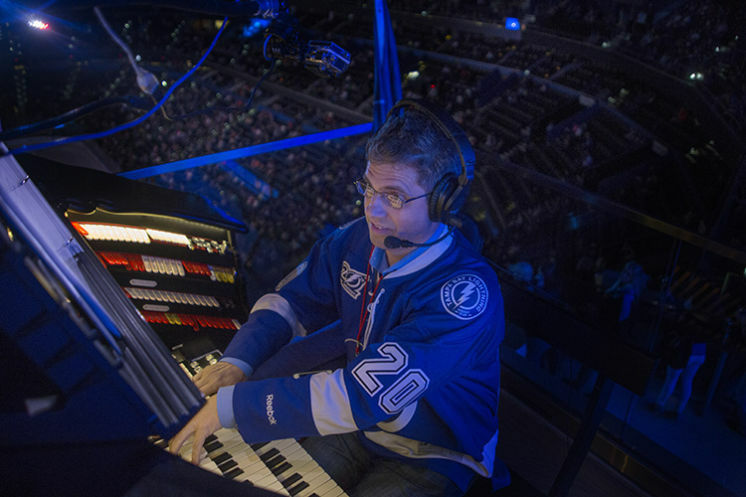 Towards the end of the interview I was standing next to Krystof Srebrakowski, high above the ice of Amalie Arena, admiring his mastery of the arena’s pipe organ, when a tour group of about 30 or 40 people came around the corner. They were marketing students from the University of South Florida. Srebrakowski, taking note of his new audience, immediately went from an interviewee to an entertainer. Srebrakowski’s hands seemed almost weightless as they moved from key to key, and he performed with confidence and an enormous smile. As the group made their rounds he grinned, took pictures, and above all gave the audience a great performance. After the group of students came a small family. The dad suggested to his young daughter that she stand next to Srebrakowski to get a picture as he played. Srebrakowski, noticing this, invited her onto the organ bench and encouraged her to press some of the buttons. Although she was hesitant, she soon got excited to be a part of the performance. These moments encapsulated my time with Srebrakowski — he was not simply an entertainer, but an inspiration to me, a music student who also loves the sound of the pipe organ as it rolls out across the ice of the NHL arena. I learned from Srebrakowski that you have to care about your listeners as much as you care about the perfection of your craft. But what does Srebrakowski do that’s so very special, and how did he find himself playing the pipe organ for the Tampa Bay Lightning? Srebrakowski can be seen nightly behind Amalie Arena’s massive five-module, 300-speaker Walker Company Organ. I asked how and what determined when he would play. Was there a set piece during face-offs and intermissions? Or was it all determined on the fly? The “we” he’s speaking of are arena DJ Sean Bovelsky and VP of Arena Entertainment John Franzone. They both sit in the middle bowl within eyesight of the organ. The three talk constantly during game night, and usually determine the music together based on the feel of the game. Everything is very situational. Crowd excitement, power plays, penalty kills, and of course, goals, all come into play when deciding whether to go to the organ, or to Bovelsky to DJ something through the PA system. “I have to know exactly what is coming in the game,” Srebrakowski said. There are a few set moments that the trio have to adhere to, such as advertisements, arena involvement, and presentations like the Lightning’s Community Heroes display. Incredibly, though, the sights and sounds of the night are really left as a split-second decision by these three people, which seems like quite a workload. When I mentioned this to Bovelsky and Srebrakowski, they shrugged. With Srebrakowski’s five years of playing for the Lightning, and Bovelsky’s experience with the organization since the Ice Palace days, they have it down to a science. Both men credit Lightning owner Jeff Vinik for why they enjoy their jobs so much. I commented that it was refreshing to see so many people in a building all enjoying music, and they both heartily agreed. But how did Srebrakowski, who was born and raised in Żary, Poland, decide to become an organist 5,043 miles away in Tampa Bay? I had to look up Żary. Żary is in Western Poland, and sits halfway between Berlin and Prague. The region has a strong musical history and was the birthplace of composers like Georg Philipp Telemann, George Frideric Handel, and Frédéric Chopin. Proud of his home country’s musical lineage, Srebrakowski grew up always trying to get his hands on their scores. “Sheet music was not readily available, especially because the internet had not yet been invented,” Srebrakowski told me. When he got his hands on music, he would analyze orchestral scores from Claude Debussy, George Gershwin, and Sergei Prokofiev, along with other classical greats, and transcribed music as much as he could. One of his first real loves came in the form of symphonic rock, including groups like Yes, Genesis, and Pink Floyd. These bands had a heavy synth and keys sound, and Srebrakowski loved combining jazz idioms with classical or rock. Srebrakowski spoke highly of the European tradition of music being a part of education, which made his musical development easier. As he got older, he began playing regularly for the church as well as weddings. As for hockey, it wasn’t new to Srebrakowski. Torn between his passions for music and science, Srebrakowski said it was difficult to decide between the two. But when it came to choosing his career path, he picked what he enjoyed most, and eventually found himself at the Berklee College of Music in Boston. When I asked why he chose Central Florida to be his home after his education, he seemed almost shocked. Srebrakowski’s goal was simple: to not let music become a hobby. “I wanted to continue with music as my source of income and career. If you have enough chops in every style of music then you have become a successful working musician,” he said. His adaptability was something he prided himself on, and he knew that working musicians had to perform every genre. Like many musicians who come to Florida for the entertainment industry, Srebrakowski found himself working with Disney. Because of his versatility, he originally wasn’t assigned organ, but keyboard and piano. “The person who hired me at Disney basically tested what I could do. I played classical and popular music. I could play everything he asked of me,” Srebrakowski said. Srebrakowski passed the audition and was assigned to work with Kids of the Kingdom, an eight-piece band that performed in front of Cinderella’s Castle. “I also did Magic Music Days,” he said, which is a workshop Disney hosts where local community and school music ensembles can take part in a clinic and learn some Disney repertoire. Seemingly his most proud gig with Disney was his job as the band leader for the seven-year long production Tarzan Rocks. But it was Srebrakowski’s time spent performing at Disney Weddings that was the ideal way to prepare himself for the task of mastering the keys at Amalie Arena. With Ave Maria, Srebrakowski was again given the challenge of being able to play the style requested of him. Outside of Disney, Srebrakowski played with the local symphony orchestra, Orlando Philharmonic. It was through this connection that he discovered the opportunity at Amalie Arena, to play for the Tampa Bay Lightning. Srebrakowski spent days tinkering and practicing to fully grasp the potential of the instrument. He spent time recording percussive instruments that he uses to play along with many of the modern tracks he performs. The most “magnificent and loud” moments, Srebrakowski saves for the blackout, the nightly sequence before puck drop that ropes in fans with the excitement of the sound. And although you can hear Srebrakowski playing weekly for the Lightning during their home games, you can also find him on iTunes and Spotify. 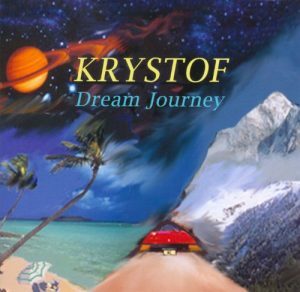 His album Dream Journey (under the name “Krystof”) showcases many of the original compositions that he often plays at the games. These are evidence of his varied musical background, and showcase his ability as a pianist and composer. Earlier that day, Srebrakowski exchanged banter with a few interns. He boldly predicted a 7-0 victory that night. With that in mind I asked Srebrakowski what he thought of the team’s performance this year. TAMPA, Fla. — At the south end of Amalie Arena, perched atop a stage, sits the largest organ in the N.H.L. It features five rows of keys, four rows of switches, a host of buttons and, underneath, several pedals. At times, Krystof Srebrakowski, the organist, seems to use every one of its features, bobbing his head, his eyes closed, his feet dancing between pedals, his fingers gliding along. But only two of the buttons and one of the pedals can bring him, and the crowd, a certain kind of joy: the ones that produce three kinds of thunder sounds. Srebrakowski often presses down on all three at once, then throws his hands into the air like a bullfighter but without the cape. The harder he presses, the louder the thunder. One of the buttons is so worn the “Thunder” label is fading away. They have been put to use on the Lightning’s run to the Stanley Cup finals. This was what the team’s owner, Jeffrey Vinik, imagined when he bought the team in 2010, at a time when the Lightning had fallen into mediocrity. Vinik decided the way to build a winner was to instill a sense of grandeur throughout the organization. He wanted the Lightning to operate and act like an Original Six team, even if they were founded in 1992. Part of that transformation included the installation of the organ. “We needed something that was grand and bold and captured that feeling of hockey nostalgia,” said John Franzone, the Lightning’s vice president for game entertainment. The Lightning hired Walker Technical Company to create a custom digital pipe organ. It creates and delivers audio that is “the most sophisticated of any organ in existence,” and was designed to look like a Wurlitzer organ replica, for that nostalgic feel, Randy Walker, the son of the company’s founder, wrote in an email. The Chicago Blackhawks, the Lightning’s opponent in the finals, have their own digital pipe organ, which is made by a Walker rival, the Allan Organ Company. “I’d love to make a remark about the other company being able to compete with us much like the Blackhawks and the Lighting do, but we would have already won the Cup,” Walker wrote, punctuating his comment with a smiley face. Naturally, Srebrakowski has become something of a fan favorite. He plays before games, during TV timeouts and intermission, bobbing his head, practically dancing in his seat. He gets one big act each game. The arena goes dark, a light show goes on behind him and he gets a solo for about two minutes. He usually picks something exciting, like big movie scores — “Star Wars” or “The Avengers,” for example. Other times, Srebrakowski plays one of the seven original scores he wrote for this job. One, “Lightning Strikes Back,” sounds heroic. Another, “Neutral Zone,” sounds intense, as if you are entering a war zone. He wrote an uplifting score called “United Forever” after the Boston Marathon bombings. For now, Srebrakowski settles for pretending to be Zeus. He ends some songs with that emphatic thunder sound. Or the operations crew coordinates with him to time the thunder and the lightning — two Tesla coils high in the air. TAMPA — As the lights dimmed at a Thursday night game against the St. Louis Blues, Tampa Bay Lightning organist Krystof Srebrakowski played a pulsing orchestral adaptation of The Avengers theme song. His final note ended with a crack of lightning. He threw up his arms in triumph. Originally from Poland, Srebrakowski, 51, classically trained with a diverse musical background, is in his third season as the hockey team’s organist. His love of music began at 5 when his parents introduced him to the organist of their church. He knew from that moment he wanted to be a musician. “I was always sensitive to sound and music,” he said. His love of jazz brought him to its place of origin — the United States. He studied at Berklee College of Music and settled in Central Florida afterward, beginning a career as a musician and orchestrator for Disney. He served as band leader for Animal Kingdom’s “Tarzan Rocks” show for seven years, playing Phil Collins songs from the film. Srebrakowski’s love for hockey started in high school, but his fascination with organ music at games came after watching the 1988 Winter Olympics in Calgary. A nudge from a friend turned him on to the Lightning’s search for a player for its new theater organ. In 2011, the Amalie Arena — then the St. Pete Times Forum — installed a digital organ with five keyboards and a 300-speaker sound system. Designed by the Walker company, it is one of the largest electronic theater organs in the world and one of the largest instruments in the NHL. 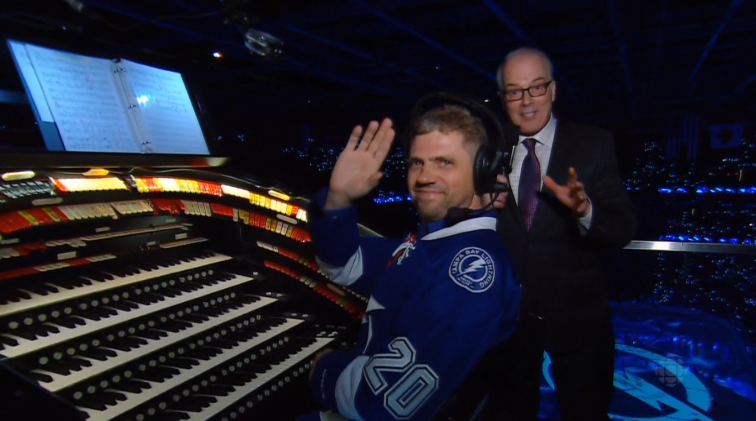 Organ music is rooted in the game’s history, but John Franzone, VP of game entertainment for the Lightning, thinks Srebrakowski and the organ bring something special. “It anchors our Lightning game presentation as kind of ‘connective tissue’ … linking a new generation of Lightning fans to hockey’s long, great past, while serving as a fresh addition to our show,” Franzone said. The choice of pop tunes like I Can See Clearly Now and Jimmy Buffett’s Volcano makes the arena a “hockey paradise,” he says. Srebrakowski was intimidated by the organ at first, but got comfortable after programming its sounds. Above the five keyboards and under his feet, tabs and pedals switch on and off, letting horns, strings, percussion and the like accompany the boom of the pipes. He has, at his fingertips, an entire orchestra. Srebrakowski filled a notebook with his adaptations and personal compositions for the games — a mix of Hollywood hits, modern twists on classics and plenty of tunes for clapping hands and stomping feet. He composed seven hockey-related pieces including Neutral Zone, Palace of Ice and Lightning Strikes Back. Before the game starts, Srebrakowski gets the crowd amped with movie theme songs and chart hits — Pharrell’s Happy and Bob Marley’s Three Little Birds. The most important rule: Once the puck drops, the music stops. Connected to the rest of the entertainment team via a headset, he keeps informed of game happenings and when to start and stop. Between plays, he gets a quiet crowd pumped with Let’s go Lightning! A Bolts goal calls for Fanfare. When he’s not the god of thunder for Tampa Bay, Srebrakowski spends his free time at his home studio practicing and composing pieces. He still plays for Disney, mainly weddings and at Downtown Disney. He’s written music for independent films, and dreams of writing movie music full time once the passion for live performing fades. At the game against St. Louis, he works his whole body into playing “this amazing instrument.” Not a minute goes by when he is not smiling, watching for crowd reactions, cheering on his team through his music. Lightning organist Krystof Srebrakowski getting some love on Hockey Night in Canada with @ScottOake! The other night we were listening to the television broadcast of Game 5 of the Stanley Cup Finals while working at home with other tasks. But we did hear from Tampa the sounds of an organ that sounded more like the old Chicago Stadium than one hears even from Chicago’s United Center these days. 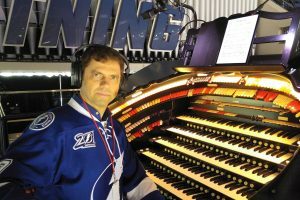 Them, the next day we came across this fascinating article about the organ and organist at Tampa Bay lightning games. His name is Krystof Srebrakowski, and he has made quite a name for himself and the Lightning. Writes the New York Times, he helped bring some grandeur to an organiztion that had previously been known for mediocrity. We are so glad some others are starting to understand that there is more to the game than what goes on between whistles on the ice. We hope Krystof Srebrakowski is part of a larger trend back to hockey’s roots. Artistically expressive performances blended with dynamic technical dexterity, reflects the musical journey of composer and pianist Krzysztof Srebrakowski. At the age of five Krzysztof, was “discovered” as a child prodigy when he was heard playing the organ at his local church; by the age of eleven Krzysztof composed his first musical piece, “Prelude in F# Minor”. The rest is history. Krzysztof Srebrakowski was born in Zary, a small town located in the Western part of Poland near the German border. During his childhood Krzysztof was schooled in the traditions of great masters like Chopin, Mozart, Beethoven, Tchaikovsky, Debussy, Ravel, and many others. Most notably, Krzysztof was influenced by magical essence, and pure beauty of Baroque music. Raised in the city of Zary ,where George Philipp Telemann (1681- 1767) was a kapelmeister, Krzysztof was schooled in the masterpieces by Johann Sebastian Bach, George Frideric Handel, Domenico Scarlatti and many other composers of the 18th Century. As a result these musical Influences can be heard in Krystof’s performances to this day. After graduating with a Master’s Degree in Music Education from the Institute of Education in Art in Czestochowa, Poland Krzysztof studied Jazz Arrangement at the Academy Of Music in Katowice. During his travel years he studied also Jazz Piano Performance at the Berklee College of Music. In 1996 Krzysztof began performing at Walt Disney World in Florida, and became the bandleader in Phil Collins’ show “Tarzan Rocks” at Disney’s Animal Kingdom from 1999 until 2006. Krzysztof has also toured with Jodi Benson (the voice of Disney’s “The Little Mermaid”) and has performed with Regina Belle, Peabo Bryson, Beth Fowler, The Nelson Riddle Orchestra (Original Nat King Cole Band), shared the stage with David Sanborn and Jim Stafford among others. 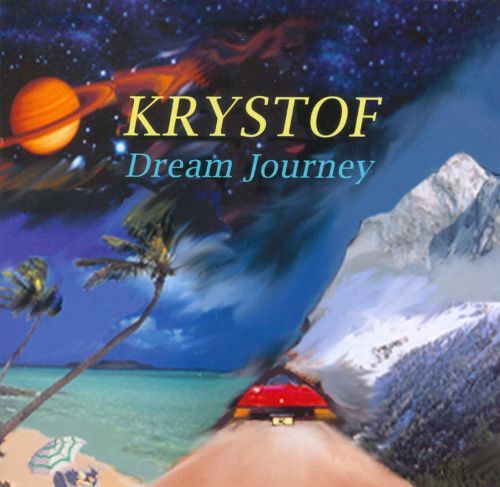 Krzysztof has recorded several albums, including his recent CD entitled “Dream Journey”. Currently, Krzysztof performs for Disney conventions, special events, recitals, jazz and pop concerts. Krzysztof also has recorded show tracks and has performed as a pianist with acts such as Groove Logic, Nova Era, Kalinka, and with Bernie Williams. He also regularly performs concerts with the Brevard Symphony Orchestra and Orlando Philharmonic. In his usual tradition of creating and composing, Krzysztof is recording a solo piano CD. Inspired by his recent trips to Brazil, he is also composing in the Brazialian styles of music. Krzysztof is a member of BMI, and American Federation of Musicians Local 389. He publishes his music through Dream Journey Productions.